Fiat Chrysler will phase out diesel engines from its passenger cars by 2022, due to failing demand and rising costs of production in the wake of the Dieselgate scandal, according to a Financial Times report. 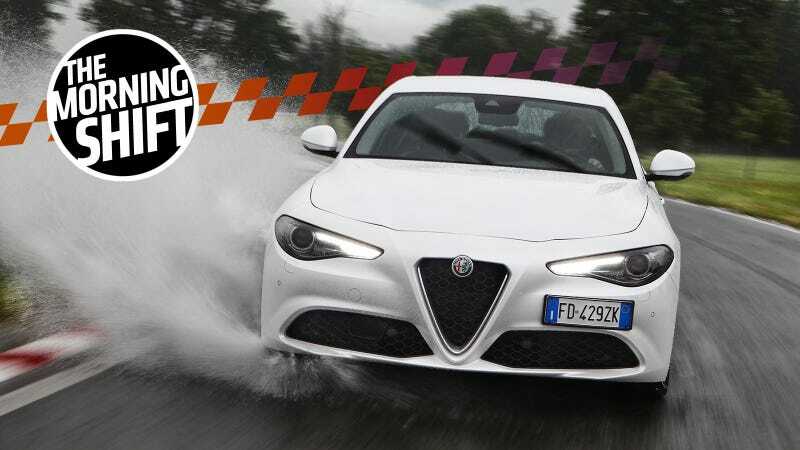 While Fiat Chrysler saw its share of diesel cars in Europe rise last year, it was primarily on the strength of diesel in the Italian market, which accounted for over half of FCA’s European sales. Diesel sales across all automakers in Europe as a whole dropped by 8 percent last year, and many cities are moving to ban diesels entirely. That makes sense, given that we’re expecting a diesel Jeep Wrangler in 2019. The report cited a four-year plan to gradually ditch diesels that will be unveiled on June 1. FCA, which owns Dodge, Jeep, Ram, Chrysler, Maserati, Alfa Romeo and Fiat, declined to comment on the report to FT. The European Investment Bank may ask Daimler to pay back its outstanding $2.5 billion research and development loans early in light of the report that Daimler may have cheated on diesel emissions tests, per Reuters. The EIB has loaned Daimler $4.7 billion since 2000, as part of a wider $10 billion in loans made to automakers to develop vehicles with lower carbon dioxide emissions. The EIB isn’t keen on the idea that their R&D funds went for nefarious purposes, so they are investigating the loans they made to Daimler to ensure they weren’t used to cheat emissions tests. U.S. investigators found software on Daimler’s diesel cars that possibly helped them pass emissions tests, Bild am Sonntag reported last week. Daimler hasn’t been charged with anything yet, however, although they say they are cooperating with the ongoing investigations into their diesel vehicles, both from the U.S. as well as the EIB. The EIB won’t make a decision as to whether Mercedes should repay them immediately until after the investigation is over. Mercedes is the second automaker to be investigated by the EIB, as they’re also looking into some $984 billion in EU-backed loans to Renault in the wake of reports that Renault may have some kind of emissions testing workaround on their diesels. The auto industry is a small world, with businesses connected through deals and such. Naturally, there’s been a tiny bit of fallout after main Geely shareholder Li Shufu purchased a 9.7 percent stake in German automaker Daimler. ﻿Volvo Cars Chief Executive Hakan Samuelsson has been a board member of AB Volvo since 2016. He was the CEO of German truckmaker MAN (MANG.DE) until 2009, and became CEO of Volvo Cars in 2012, two years after Geely bought the company. “The reason that Hakan Samuelsson is not proposed for re-election is the announcement that Geely Group has become the largest shareholder of the German vehicle manufacturer Daimler, one of the Volvo Group’s major competitors,” the AB Volvo election committee said in a statement on Monday. Shufu clearly wants Geely to have some access to Daimler’s technology, however, Volvo Trucks doesn’t want any of their tech to get to their competitors. Meanwhile, Daimler has their own deal with one of Geely’s competitors: BAIC. They’re moving ahead with it, as Daimler and BAIC announced a $1.9 billion joint plan to build a production facility together in China, Bloomberg reports. The facility will crank out Mercedes-Benz products in China including electric vehicles—which is no doubt part of the technology that Geely might be interested in. A small importer is taking on Nissan North America for claiming that real parts they’d sourced from overseas were fake, reports Automotive News. AMG Trade & Distribution sourced over 10,000 Nissan parts in 2016 from Nissan’s licensed distributor in Oman for far less than they would from Nissan in America. They were real, but U.S. Customs officers held them up for 15 months on the suspicion that they might be counterfeit, nearly putting AMG out of business and causing stress-related health issues in co-owners Anthony Bachan and Michael Pockhai. The case sheds light on the murky world of gray-market goods — items that are technically legal but considered unfair by a manufacturer — and automakers’ efforts to stop their dealerships from straying outside official distribution channels for cheaper parts. The transactions at issue typically involve genuine, brand-name products from a reseller overseas instead of directly from the manufacturer. Merchandise often can be obtained at a substantial discount from a company’s authorized distribution channel. Sometimes, the goods are genuine but pirated, meaning a contract manufacturer produces more than its customer ordered and funnels the excess through back channels. Bachan, who runs the business, and his attorneys say Nissan is trying to interfere with a competitor’s legitimate business so it can charge higher prices for aftermarket parts. AMG finally got their parts in 2017, after having to ship 217 back to Oman that Nissan deemed counterfeit. Yet they’re still not happy about it, as the parts dropped in value following the lawsuit and the business nearly folded as a result. AMG isn’t the only importer to have this issue with a manufacturer, and the entire article on how these parts come in to America and the issues importers have with automakers over them is worth the read here. He may share his socialist tendencies with U.S. Sen. Bernie Sanders, but Lopez Obrador shares the love of a good political brawl with Trump, which could put NAFTA in the crossfire if the two skirmish at the presidential level. Lopez Obrador’s advisors claim that his promotion of Mexican self-sufficiency will not lead to protectionist policies, however, but business leaders remain skeptical of his new, more moderate rhetoric. Neutral: What’s diesel’s future look like? What was once a viable, even environmentally-conscious alternative to gas is now slowly being phased out due to a bad rap. Can we live without diesel? Is there anyway back for the maligned fuel?